"This email is to inform you that your Shopify store, defdist.myshopify.com, has been closed," the email said. 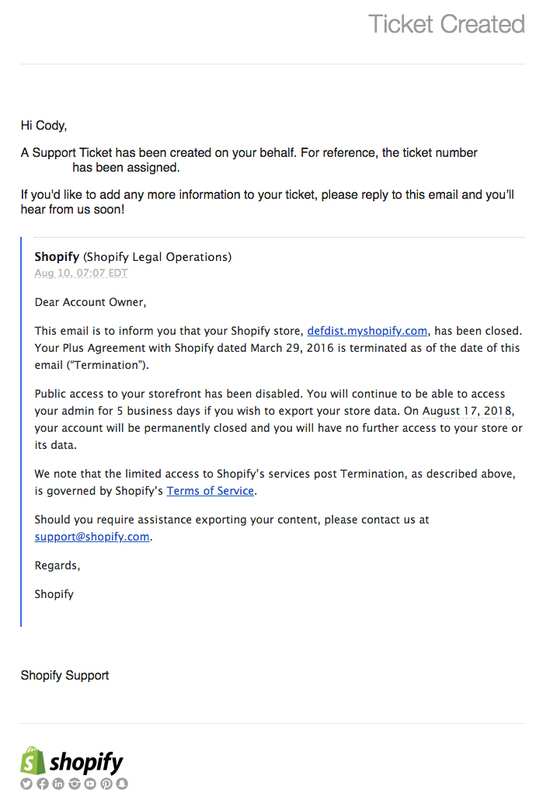 "Your Plus Agreement with Shopify dated March 29, 2016, is terminated as of the date of this email ("Termination"). Public access to your storefront has been disabled. You will continue to be able to access your admin for 5 business days if you wish to export your store data. On August 17, 2018, your account will be permanently closed and you will have no further access to your store or its data. We note that the limited access to Shopify's services post Termination, as described above, is governed by Shopify's Terms of Service." Wilson replied to the email asking what the company's justification for terminating the account was and threatening legal action against them. "I'm requesting your justification for ending our contract without notice or appeal," Wilson told Shopify. "I'd like it by the end of business today. The next time I ask will be through my attorneys." Wilson said the Defense Distributed storefront sold the company's CNC mill machine, tooling, software, and accessories. He said he had an annual contract with Shopify that allows them to keep a percentage of the sales made through their platform. He's now demanding the company return any money made off the deal. "I'm a Shopify Plus merchant," Wilson told the Washington Free Beacon. "Which means they have an annual contract they sign with me and they take a percentage of my sales. I'm publicly demanding they return the money they made off me." Shopify did not immediately respond to a request for comment. 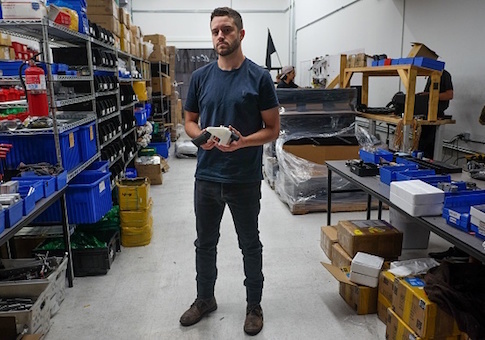 Wilson has been at the center of a media and legal firestorm since developing a gun made mostly from 3D-printed parts and posting them online. The State Department originally claimed publishing files related to the gun on the internet was a violation of an arms export law but recently settled with Wilson and gave up their claim against him. However, a federal judge issued a temporary restraining order at the request of eight state attorneys general which prevents the State Department from abiding by the settlement—an action which caused Wilson to once again remove the gun files from his website. Gun blueprints, including those for Wilson's design, remain widely available on file sharing websites across the internet. A coalition of gun rights groups also set up their own repository for publishing the information online called CodeIsFreeSpeech.com. Tech companies have since tried to censor the website from their platforms and prevent their users from sharing information about its existence. Facebook told the Free Beacon on Thursday it was blocking all content from their platform that mentions the website's address and Amazon took the site down from its servers as well. CodeIsFreeSpeech.com remained online at publishing time and the groups running it said their actions are legal, they haven't yet been contacted by any law enforcement agencies at any level, and they plan to past more gun blueprints in the future. Wilson said that Shopify's termination of his account has had an impact on his income but that he does not plan to stop selling his products or shut down his company. Instead, he will move to another platform as he considers legal action against Shopify. "I'm losing money every hour I'm down," he said. "Of course, I will move to another platform."